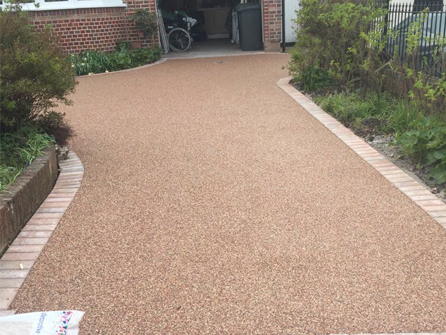 Do you want a seamless, stunning driveway with virtually no maintenance? 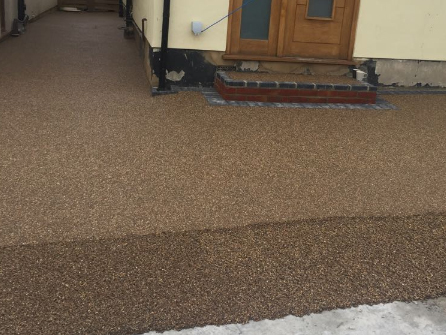 Then a resinbound driveway is what you may be looking for. 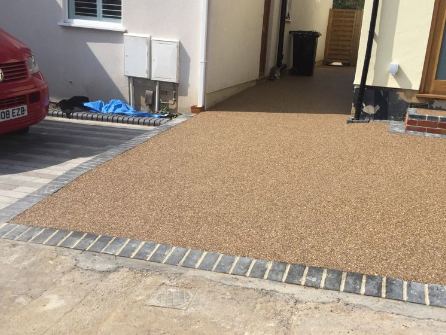 Quite a new material in the paving industry, it is proving popular with homeowners and business owners alike. 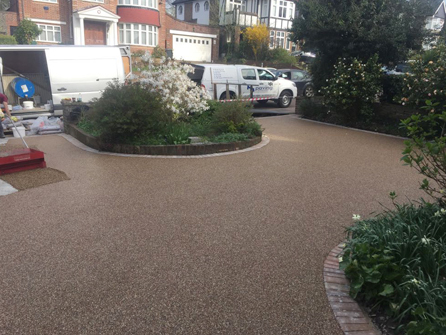 A truly bespoke driveway or patio can be achieved by using resinbond. 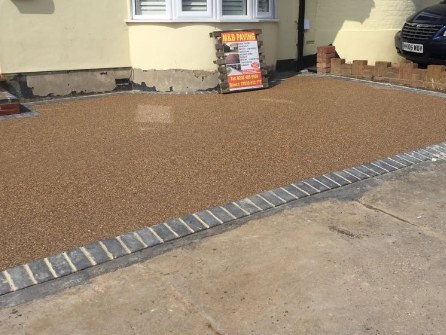 Aggregates come in varying sizes, shapes, textures and colours and the mixture is easily applied to any sized area and is flexible to work with so is especially perfect for irregular shaped areas. 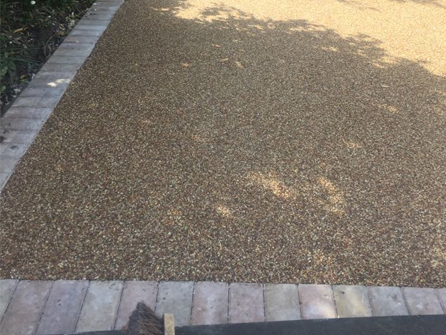 The aggregates can be smooth or angular and vary in size so a designer look can be achieved when you compliment the driveway with decorative borders or edges. 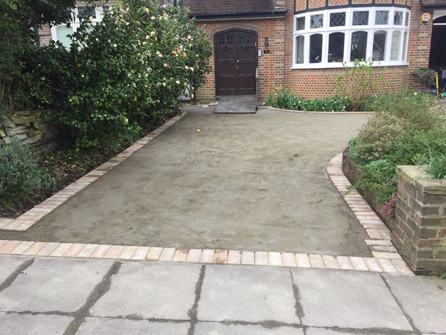 If you want a contrasting centre piece to your driveway, it can be achieved. 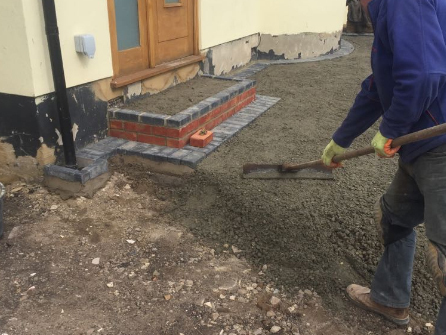 If you want an intricate design you can have that too. 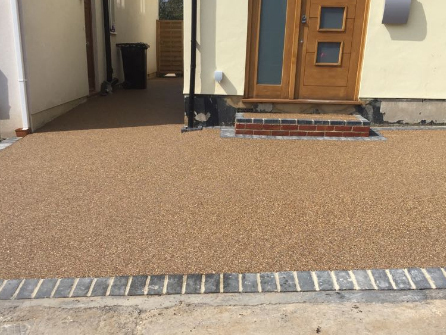 One colour aggregate can achieve a uniformed look or if you want something a bit more elaborate, then mixing a combination of colours can achieve this. 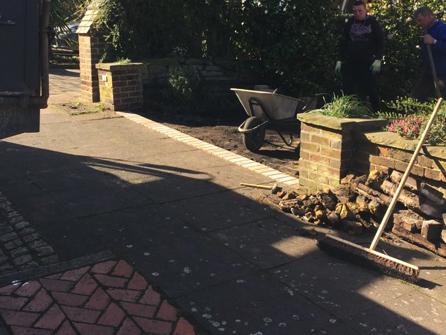 At PMB Paving and Landscapes Ltd we offer a free design and planning service to discuss your requirements. 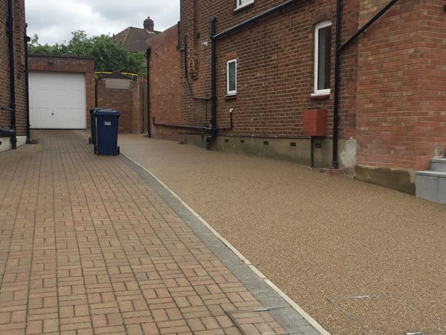 We have a full portfolio of our work available for inspection or you can check out our Trustatrade and Checkatrade pages to see what our recent customers are saying about resinbound driveways. 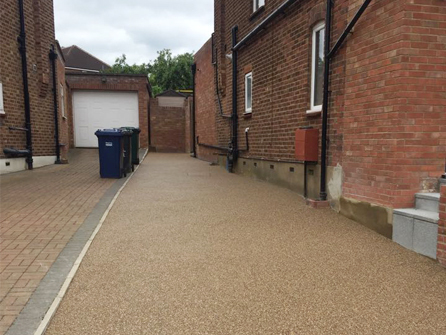 All our resinbound driveways are guaranteed for 5 years. 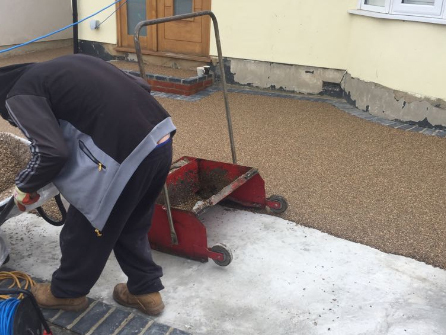 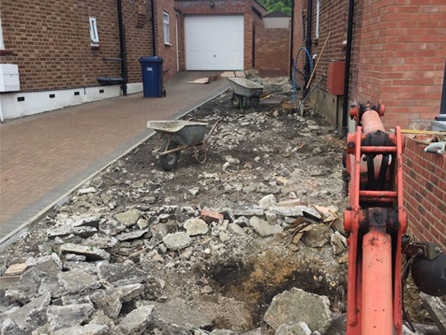 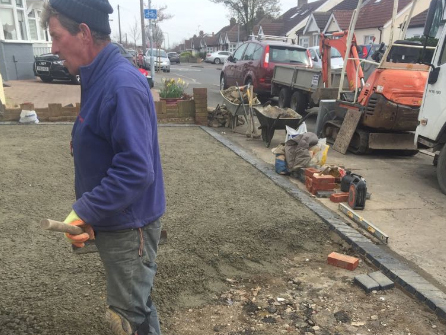 We are so convinced that you will be delighted with your resinbound driveway, we are confident enough that we do not have to ask you to pay a deposit. 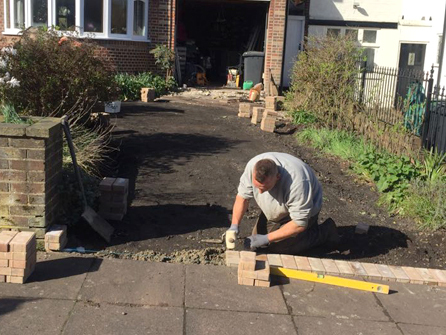 We only accept full payment once the job is finished and you are completely satisfied. 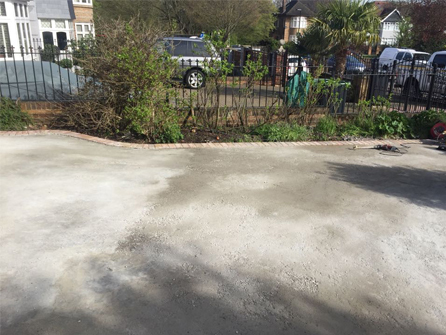 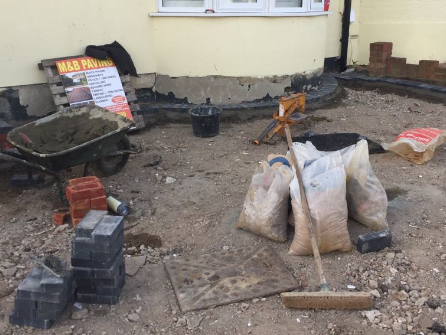 So, call our team today at PMB Paving and Landscapes Ltd on either Mill Hill 020 8485 7610 or Hoddesdon 01992 877629 and speak to a member of our friendly team about organising a free site survey to see if a resinbound driveway or patio is for you, we are waiting for your call.